Carry of the Month is a new feature for the BWIP blog and Facebook group. Each month one of the VBEs will choose a wrap carry or carrier to showcase and write a blog post with instructions or videos. At our monthly meetings throughout the valley, we will designate time to demonstrate the carry or carrier in person and answer your questions. Feel free to join in on the fun! Post pictures of you trying out the COTM in the comments here or on the Facebook group. For the month of May we are demoing a back carry called Shepherd's Carry. It can be done with a size 3 or 4 woven wrap depending on your size. We picked this carry because it gives you a taste of "ruckless" straps. So instead of the wrap going over and under your shoulders like backpack straps the pressure point is at your chest. It can be a great carry for wearers that have picky shoulders. It's also a slightly shorter carry than of last back COTM which was Double Hammock. 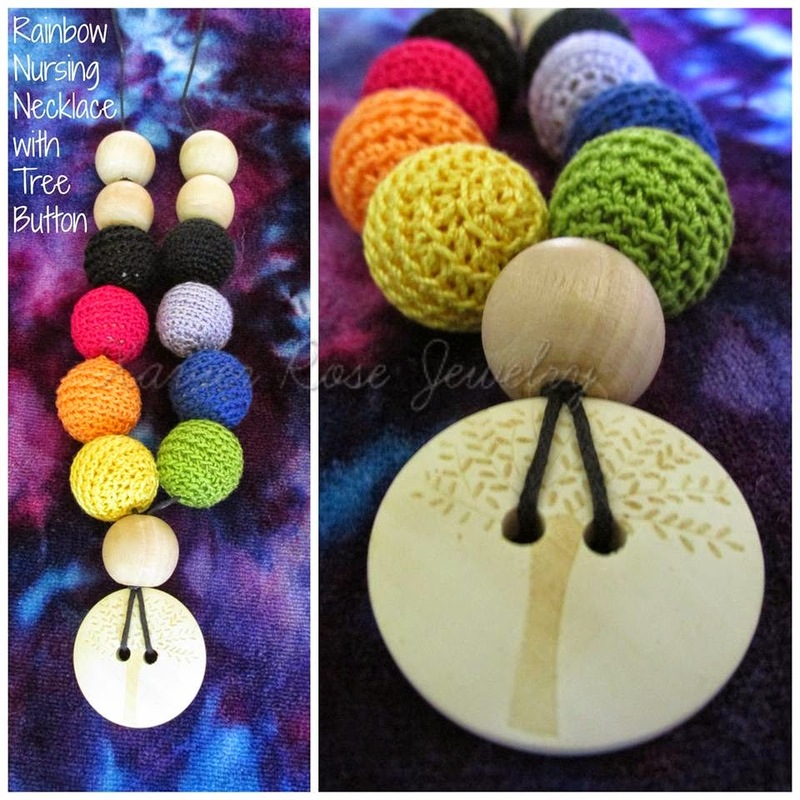 Participation in this month's COTM challenge enters you into a drawing for a beautiful handmade teething necklace. This month's carry is being modeled by our VBE Dara and her son Eli, using a Meeyoo handwoven wrap called Pog Pog. Dara starts by finding the middle marker of the wrap placing it on the center of her back and measuring how far needs to be off-centered to have the tails even when this carry is tied off. As always, let us know if you are having problems or just have questions. Carry on! Disclaimer:Any tutorials or advice given on this blog by Babywearing International of Phoenix or representatives of BWI of Phoenix are to be used at your own risk. Please use caution when attempting any of the carries highlighted on this blog and using any of the carriers discussed on this blog. Some of the information or advice may put some users of this site at risk due to health issues, physical limitations, or misuse. If you or your child have health issues or physical limitations, please discuss the appropriateness of the carry or carrier with your health care practitioner.BWI of Phoenix cannot be held accountable for any injuries sustained by the reader when attempting these carries or using these carriers.